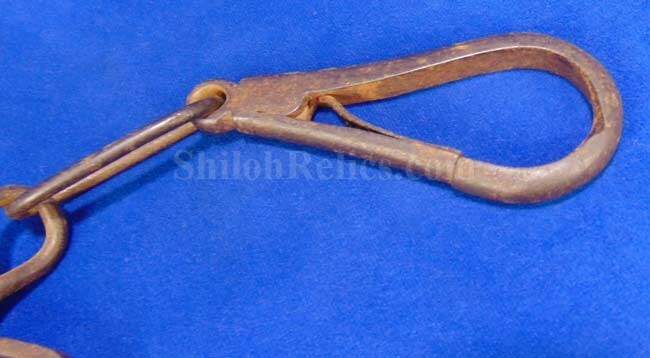 Here is a very fine original snap and roller portion of a Civil War cavalry carbine sling. 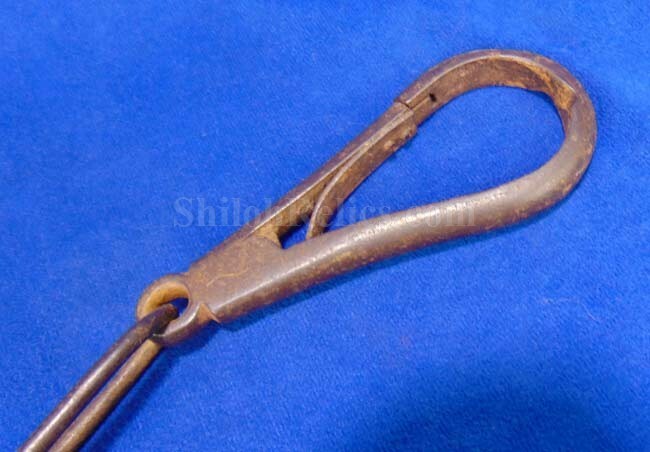 This went on the end of the sling and it snapped onto the saddle ring of the carbine. They were used so the cavalryman wouldn’t lose his gun while bouncing in the saddle. This one is in great shape and even has the roller present on the end and the spring still works on the snap. You can tell by the wear on the snap that this one spent many hours in the saddle. 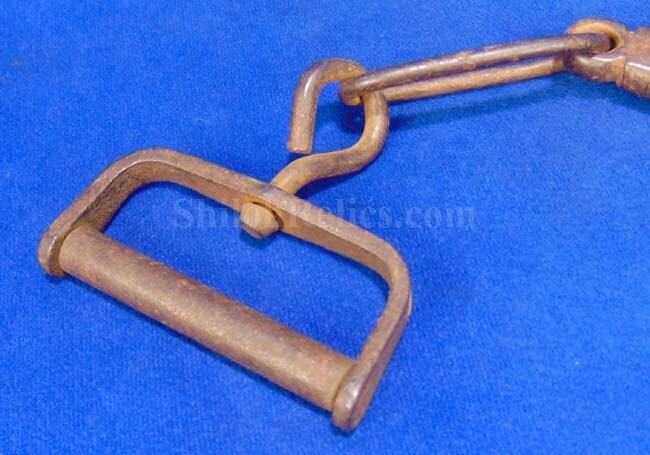 This is a great piece to display beside of your carbine or this one is nice enough to use for a re-enactment.